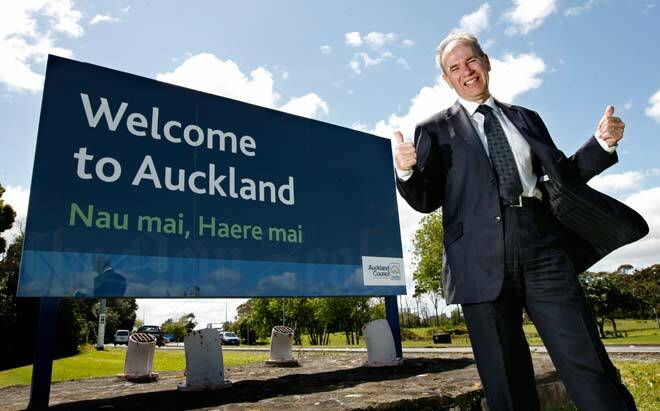 The first mayor of the Auckland 'super-city', Len Brown, stands beside a sign newly erected at Auckland airport in 2010. Brown was elected mayor of Manukau City in 2007. At the following local-body election in 2010 he became mayor of the newly formed Auckland Council, which replaced seven previous city and district councils (including Manukau) and the Auckland Regional Council. He was re-elected as mayor in 2013.